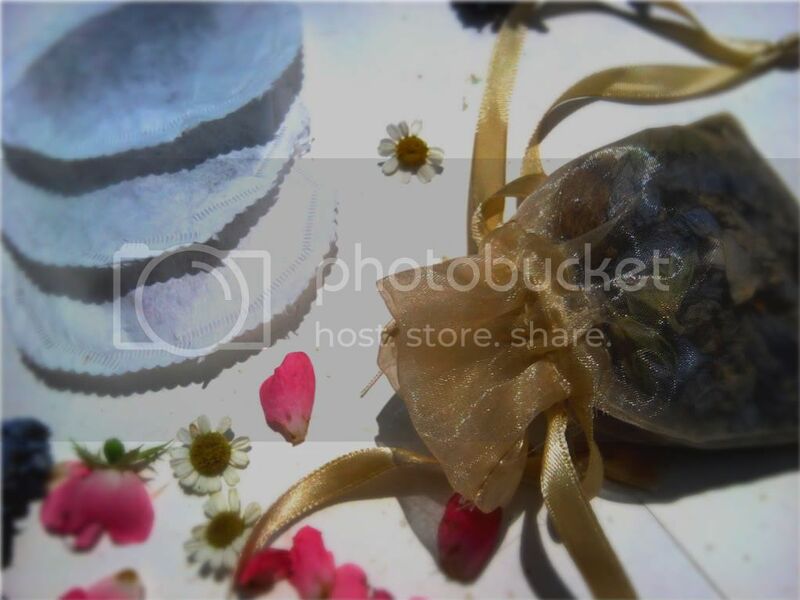 In a previous post Spa in a Box there were little DIY bath teas included. 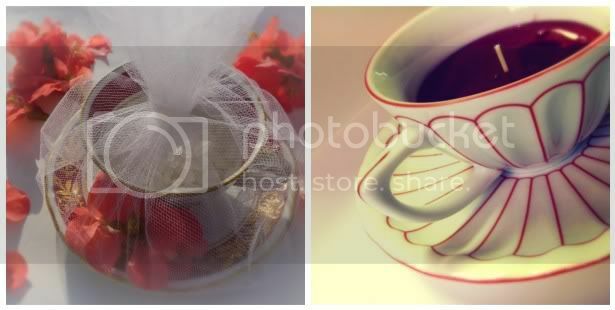 These are very simple to create using either a pretty organza reusable pouch or of all things coffee filters. Cutting each coffee filter into a circle and crimping (with a stapleless stapler) or sewing them together with pretty thread, each is then filled with a muesli of things from around the home and garden. 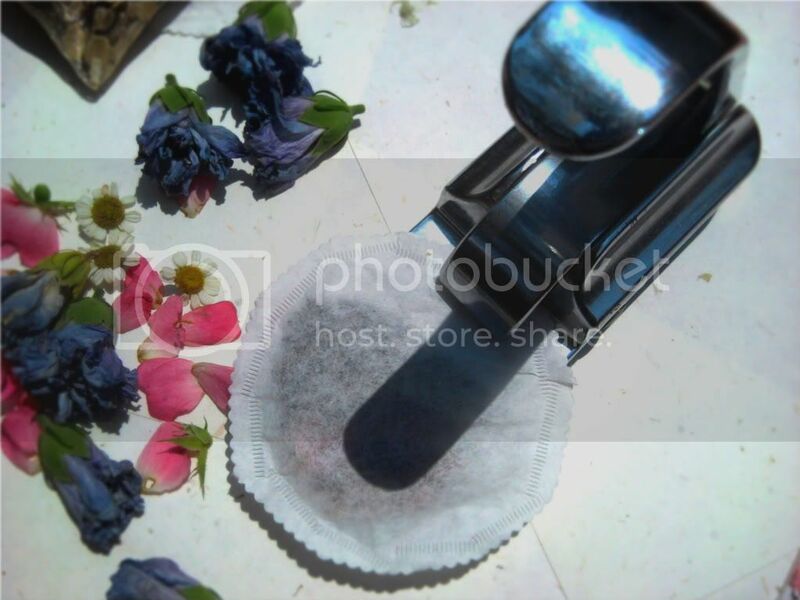 This same coffee filter method also works for making your own tea bags filled with loose tea blends for sipping and soothing green tea beauty blends to use over ones eyes. These particular ones here have a blend of rose petals, dried hibiscus flowers, oatmeal and green tea. Other favorites to stuff inside are chamomile, rice, dried milk powder, chunks of dried aloe vera and dried orange peel. Dropped into hot running bath water they're decadently aromatic and really soothing. Especially the oat meal and aloe vera for recent sunburns from marathon flea marketing. HOW TO (see the video): Using your scissors (here I've used decorative ones) cut the bottom circle from each coffee filter. You will need 2 for each finished bath tea sachet. Place both coffee filter circles together and either sew or crimp half way around. 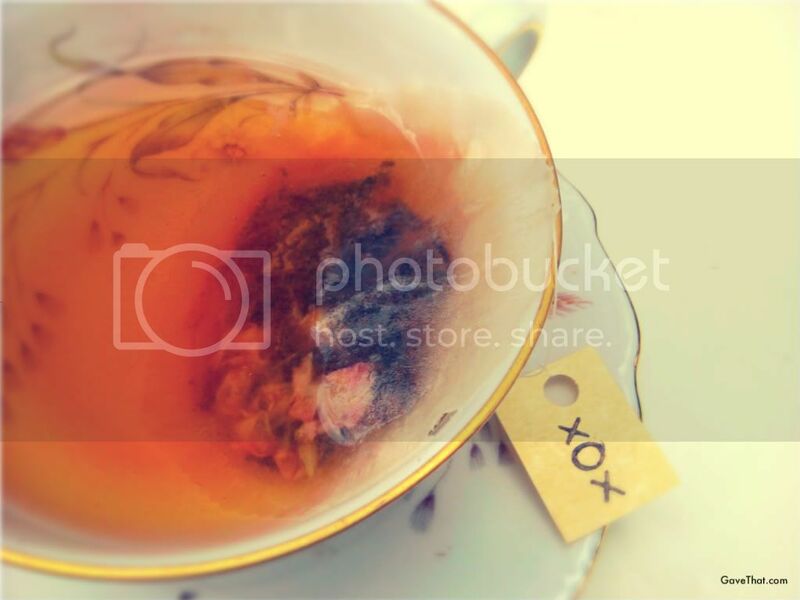 Fill the pocket inside with your choice of aromatics &/or teas. Sew or crimp the opening closed. The edge can be further decorated with decorative scissors as pictured above. 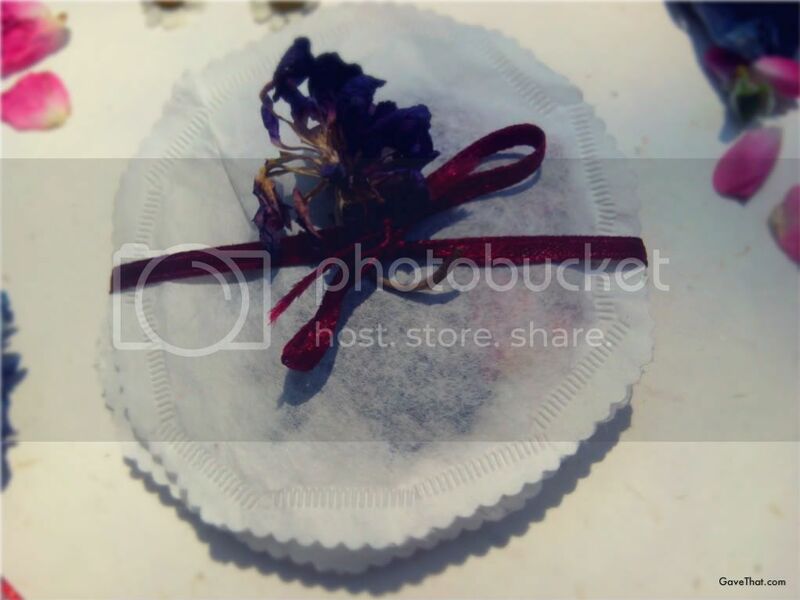 Stack and wrap with a pretty ribbon or place in a wide mouthed glass jar decorated with dried flowers. A sweet favor! PS... I've been deluged with requests for more info on the silver clipless stapleless stapler above, which is vintage and by "Paper - Welder", and as I've been told, quite old. ebay is my go to place for such things but I've also found similar ones in antique shops and flea markets. Please go here for models currenly listed on ebay. Prim bath salts & DIY tea cup candles.